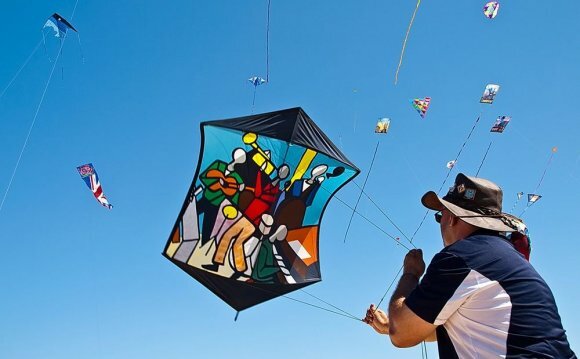 Making your own kite is simply fun no matter what your age or background. It appeals to poets and inventors, and all of us who like to hold our work in our hands. Remember that kite-making mistakes are rarely fatal errors. A sap snaps, we replace it; string breaks, we may mourn the loss, but also cheer its flight of freedom. Here you'll find just about everything you need to build a kite from scratch, or repair an old favorite. How-to instructions for the do-it-yourselfer. Sail coverings that meet the most demanding kite designers. Spars of all types, the ferrules that connect them together, fittings, nocks and connectors. Indispensible little items that no kite flyer should be without. All the small useful items that go with making an air worthy kite.